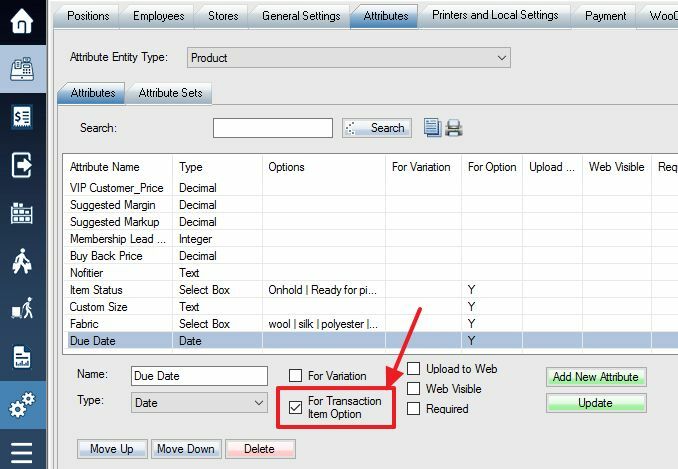 You can use transaction attributes to track custom information about the transaction or the items in the transaction. A transaction can be an invoice, a work order, or a special order etc. First, create attributes with For Transaction Item Option checked on. Add the attributes to desired attribute set. 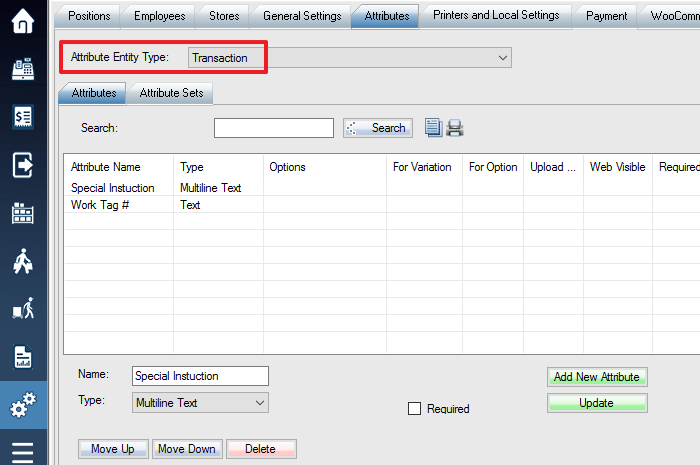 For transaction-wide attributes, select the Transaction attribute entity. Go to the Skus Info tab, select the attribute set, you will see the attributes for transaction item options are grayed out. Make a sale with this Sku, the transaction item option attributes will pop up. 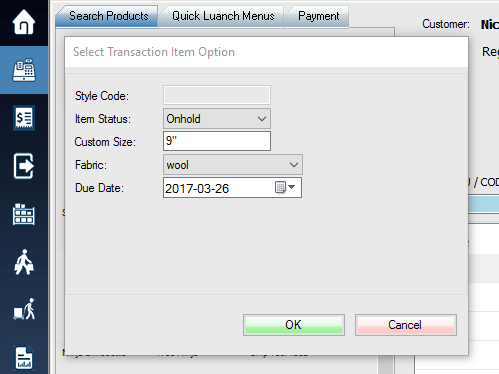 Enter custom information as required, click OK.
Before finishing the transaction, you can click Attributes button or Shift F3 on keyboard to view or edit the attributes. After the transaction is done, you can view or edit attributes from recall transaction screen. You can print custom forms, special work labels, and item tags based on information from the attributes.